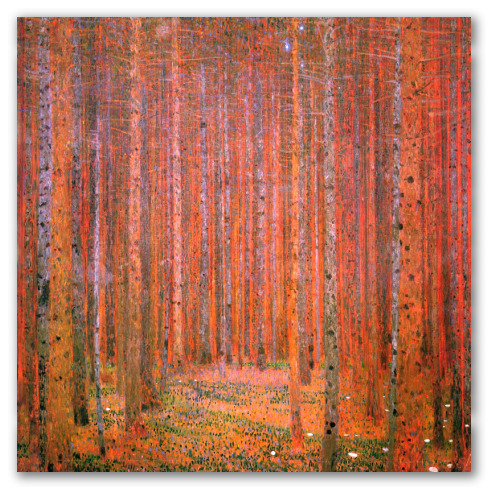 "Pine Forest" by Klimt, Abstract Impressionist Painting. 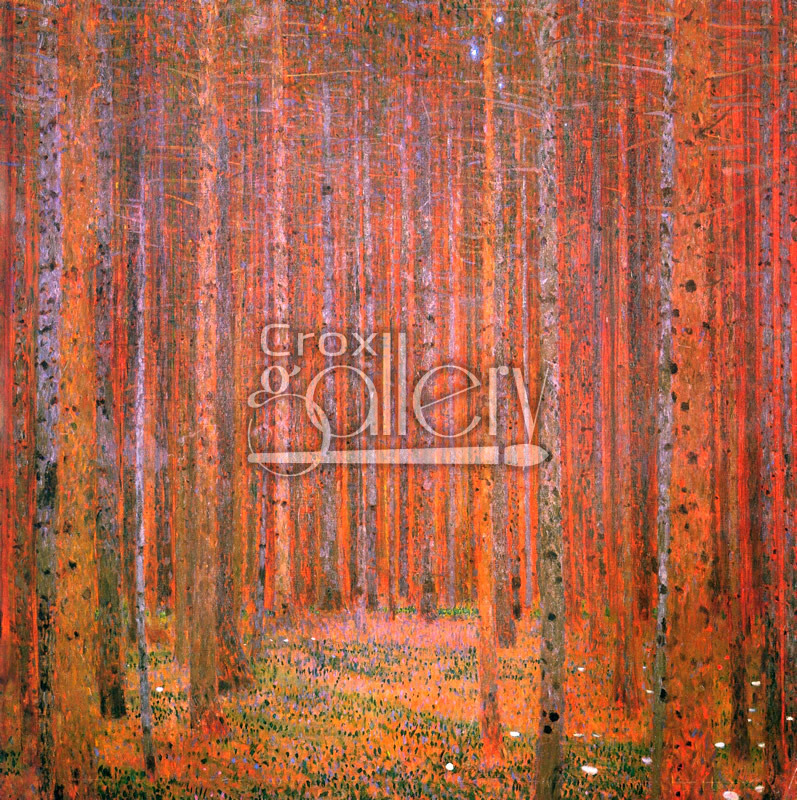 Pine Forest by Gustav Klimt is a painting that features an autumn landscape with reddish trunks and leaf-covered ground in the same tones. Although the artist did not specialize in this style, the work is a perfect mix between abstract and impressionist styles, proof of Klimt’s great versatility.